I love spotting elk as they majestically meander their way through the tall pine trees of their mountain home. But, even more than this, I love spotting my husband spot elk. hearing "There's one! See it? Right there! Look! There's two of them - a momma and her baby!" and experiencing his experience in this experience that thrills my heart no end. my elk loving husband and I took a leisurely drive down a lone mountain road in hopes of spotting these majestic animals out on a "midnight" stroll. As we slowly made our way down a back mountain road through the forest not too far away from our home, we were not disappointed. gracefully leaping over a fence. I delighted in his delight. I love spotting God in the midst of my life. But, even more than this, I love spotting others spot God in the midst of their life. and experiencing their experience in this experience that thrills my heart no end. it stirs up a response it me, too. When his heart starts beating faster, and his words start coming quicker, and his actions mirror the thrill he is feeling inside, I feel it, too. All of it. And, it makes me want to keep peering into the darkness, keep driving mountain roads at 3:00 am, keep believing beyond hope that the elk are there in our midst, just waiting to be spotted. And when a friend, a family member, a casual acquaintance, a stranger on the street, a brother or sister worshiping on the pew next to me spots God and everything in him or her responds to this sighting, it stirs up a response in me, too. When a heart starts feeling His presence, and tears start flowing down cheeks, and what I see is mirroring the emotion that is being felt inside, I feel it, too. All of it. And, it makes me want to keep peering out into my own life, keep following wherever God is leading, keep believing beyond hope that God is there in my midst, just waiting to be spotted. When was the last time you spotted an elk moving through the forest? 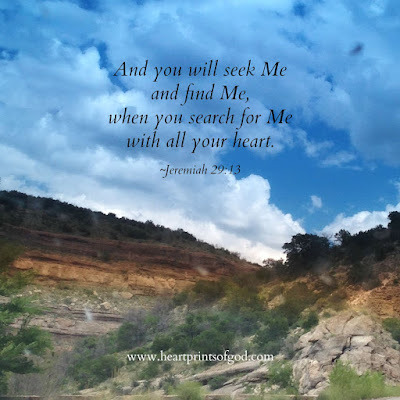 when was the last time you spotted God moving in and around your life? He is ever at work in our life.